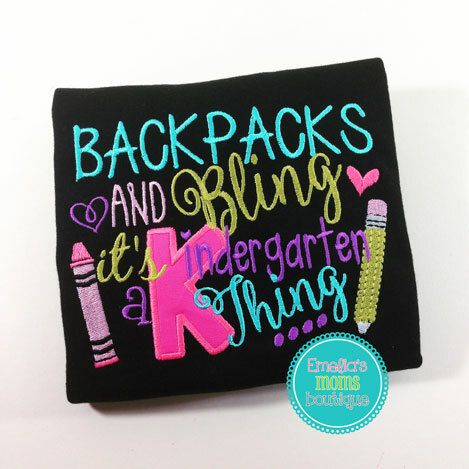 This adorable design is prefect for your child to go back to school! Backpacks and Bling it's a Kindergarten thing. we can do any grade aslo.